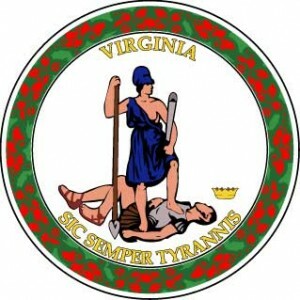 Tag Archive | "State Aid Program"
State budgets have been impacted hard this last year and it seems like most of the financial woes are trickling down in the form of funding cuts to various education programs. Now of course, I have come up with an alternative solution for state budget issues but for now it appears that the state of Missouri is following suit with a great number of other states and reducing the amount of money they will be providing to their students. 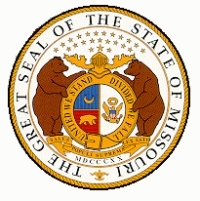 The Missouri Department of Higher Education has consistently provided a need based grant called ACCESS MISSOURI to Missouri students attending Missouri schools. Unfortunately though, this program used to dole out about $100 million dollars a year but after recent budget constraints they are lucky if they will be able to disburse $32 million for this coming academic year. Based upon this budget adjustment and the demand of students, it is estimated that the maximum award will be $500 for students attending public universities and $1,000 for those that are going to private colleges. The worst part about this reduction in funding is that it is going to be impacting the neediest students (since part of the qualifications are based upon your FAFSA results). Have a FAFSA on file by April 1, 2010. Have any FAFSA corrections made by July 31, 2010 (if you are eligible, you may add school choices until September 30, 2010 by contacting the MDHE). Be a U.S. citizen or permanent resident and a Missouri resident. Not have received your first bachelor’s degree, completed the required hours for a bachelor’s degree, or completed 150 semester credit hours. Maintain a minimum cumulative grade point average (CGPA) of 2.5 and otherwise maintain satisfactory academic progress as defined by your school. If you are a Missouri student that is being impacted by this reduction in funding, feel free to check out some of our approaches to assist you in bridging the gap in your educational expenses. College students across the great state of Alaska are taking comfort in a new state scholarship program that was recently put into law. It is categorically known as Senate Bill 221 but the warm and fuzzy moniker is going to be the Alaska Merit Scholarship. These scholarship funds won’t go to waste on the not-so-brightest and academic underachievers. The emphasis that Governor Parnell put on this program is that the scholarships go to students that have a proven academic track record and will be sure to put the funds to good use. This aspect of the scholarship program differs from many other state scholarship programs across the nation that are more need-based and not directly tied to academic performance. 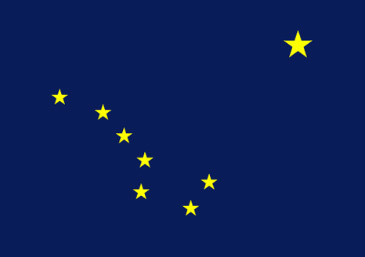 “Positioning Alaska’s economy for growth and our children and families for opportunity — I can’t imagine anything more fundamental to providing opportunities than doing everything possible to make sure our youth stay in school, get their diplomas, and move on to job training or college prepared to work,” Governor Parnell added. Students with a 3.5 GPA (or above) will be eligible for $4,755 a year. Students with a GPA of a 3.0 will get $3,566 annually, and those with a GPA of 2.5 will benefit with $2,378. 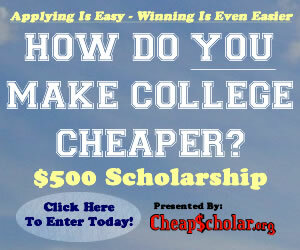 Below a 2.5 on your GPA (or less than a B-) and you will net nothing from this scholarship program. In addition to GPA requirements, students will need to take four years of math, science, and language arts during their high school experience. Students must also obtain a minimum score on college entrance exams (I have not heard what the threshold for those exams as of this time). Funding for this scholarship program is still being worked through. The Governor has assigned a task force with the responsibility of researching different funding methods to insure the scholarship program is in existence for years to come. If you would like to find more information about the Alaska Merit Scholarship or Governor Parnell’s approach on education matters in Alaska, please feel free to check out this link for more details. The state of Kentucky is following suit with numerous other states in that they are having budget issues that deeply impact the way they provide higher education to their students. Recently, the Kentucky Council for Post-Secondary Education imposed a 4% to 6% limit (cap is set by institution) on how much tuition can be raised for the upcoming 2010-2011 academic year (Details Below). This is certainly great news for the students attending these schools but the college administrators are thinking otherwise. Given the current state budgets (or lack there of) the colleges are questioning the limit on tuition increases because even if they impose the full percentage allowed, they still will be unable to get out of the red and into the black (meaning.. they won’t have enough current revenue to cover current expenses). 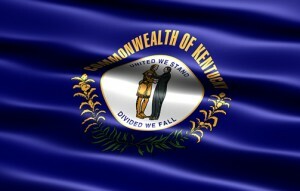 Given these budget shortfalls, any extra-curricular programs or activities on these campuses may be under scrutiny (and possibly on the chopping block) if the Kentucky Public College System doesn’t collaboratively work with State of Kentucky and the Council for Post-Secondary Education to come up with some viable solutions. In the meantime, the students get the benefit of this decision (capping tuition increase), for the short-term, in their checkbooks when it comes time to make those tuition payments. Well… that is my Kentucky Higher Ed snapshot for the day.. some good news (cap on tuition increases), some bad news (KHEAA grant out of funds), and some ugly news (state budget crisis impacting public colleges). In the state of Ohio, the minimum credit requirement for those wanting to sit for the CPA exam is 150 semester credit hours. As most of you may know, most students graduate from a 4-year college program somewhere around the 130 credit hour mark. So how are they supposed to bridge this gap to achieve the required credit criteria requested by the Ohio Accountancy Board? Glad you asked! One option that many students take advantage of is going straight from their undergraduate experience to graduate school. CPA’s tend to migrate toward MBA programs. When they graduate with their MBA degree, they will have more than enough credit hours to be able to sit for the Ohio CPA exam. Another option for the CPA minded student is to attend their college of choice for a fifth year to help boost their completed credit hours. Financially this option can sometimes be a costly approach but as more institutions embrace their fifth year seniors you find that most of the aid received in prior years will still be available for that fifth year (9th and 10th semester). Here is the application form. It appears that they accept scholarship requests twice a year (each semester) and that it is available to upper-class students that are enrolled in an accredited accounting program at a qualified college or university. Enjoy! Also, even though this scholarship program is specific to the state of Ohio, I can imagine that other state CPA programs may have something comparable (if you are reading this and you reside in another state). 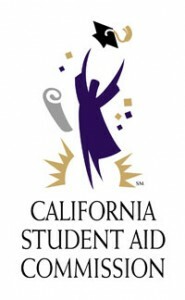 The California Student Aid Commission is officially starting to accept applications for the Cal Grant program. Students who qualify for this program can receive up to $9,700 per year to attend any public California college and most private and independent colleges. The Cal Grants can cover tuition, books, living expenses, and other necessary classroom supplies. Within one year after you graduate. So, even if you have to go straight to work before going to college, you don’t have to miss out on a Cal Grant. As a community college transfer student, as long as you are under the age of 28. As a high school senior. Within one year of getting your GED. Instructions to apply for this FREE education money can be found here. If you know of anyone that may qualify for this program, please use the share tab below to forward this information onto them.